We list the best 8 free DVD makers for Windows here, enbale you to make and burn DVDs. Although, the default application for DVD making in Windows Vista or Windows 7 is Windows DVD Maker, in Windows 10 is Windows Media Player, we need to use other DVD makers where it is not compatible due to file formats. The top 8 best makers for Windows are featured list one by one. Windows DVD Maker is the default application for DVD making in Windows Vista or Windows 7, it is also the quickest and easiest tool to burn a DVD. Then your videos can be played on home/portbale DVD players. Support nearly all video files: avi, divx, wmv, mpeg, rm, mp4 and over 60 other video formats. Support all DVD players, Media Centers or Home Cinema Set. Support CD-R, DVD-R, DVD+R, CD-RW, DVD-RW, DL DVD+RW, HD DVD, DVD 5, DVD 9, Mini DVD, Mini DVD DL. Reliable burning engine will burn your videos to disc after encoding. Create your own subtitles (up to 32 for each video). Windows DVD Maker isn't supported on Windows 10, however, you can make DVD using Windows Media Player. The process of burning discs is mostly the same in all Windows versions, you can also burn DVD on Windows 7 and Windows 8.1. Even aking DVD with Windows Media Player is free, but you will not be able to add menus or graphics to customize the DVD disc. Also DVD Making process is a little bit long, wait enough time before DVD making is finished. ImgBurn is an optical disc authoring program that allows the recording of many types of CD, DVD HD DVD and Blu-Ray images to recordable media (.cue files are supported as of version 2.4.0.0). 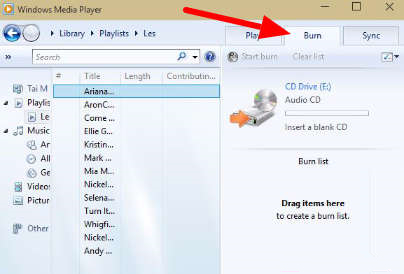 Starting with version 2.0.0.0, ImgBurn can also burn files and data directly to CD or DVD. One of the best samll tool to rip & burn video and audio to CDs, DVDs and Blu-ray discs with any burning devices. You can get this open source tool to burn your DVDs in the easiest way. Easier to use, more powerful and totally reliable - experience the best Burning Studio ever made! DVD Flick is a simple but at the same time powerful DVD Authoring tool, it can take a number of video files stored on your computer and turn them into a DVD that will play back on your DVD player, Media Center or Home Cinema Set. DVDStyler is a cross-platform open source DVD authoring software and is completely free. It allows not only burning of video files on DVD that can be played practically on any standalone DVD player, but also creation of individually designed DVD menus. Get one of these software now and make an easier experience to burn your own CDs, DVDs and Blu-ray Discs on Windows. All-in-one video converter, DVD ripper, Blu-ray ripper, DVD/Blu-ray copy software and video editor. Convert any content to the target format videos as you like.